Does your website or business target a European audience? Even if you answered with a loud resounding “Nope!”, listen up, because this still applies to you. The truth of the matter is that Europe has some of the fastest, most cost-effective internet on the planet. This is due to a number of reasons. Much of Europe’s internet dominance can be attributed to the fact that many European nation governments try to spur competition among internet providers by requiring companies to lease out their internet infrastructure to other broadband providers. This is opposite to the monopolistic corporate model spread across North and South America. So how does this affect you, your website, and your VPS provider? Well, if you’re a North American businessman targeting a European audience using a US-based hosting provider, odds are you’re paying much more than you would if you used a European VPS provider, where lower overhead costs and broadband prices allow providers to set lower prices for you, the customer. Paying more money for the same (or lesser) hosting quality just doesn’t make sense – especially when your target audience is based in Europe. For this reason, we’ve compiled a list of the best European VPS providers alongside the most optimal hosting locations. Here’s a list of the European countries with the fastest average internet speed, according to Akamai’s Q4 2015 report. – Sweden – 2nd fastest average connection speed at 19.1 Mbps. – Norway – 3rd fastest average connection speed at 18.8 Mbps. – Netherlands – 5th fastest average connection speed at 17 Mbps. – Switzerland – 7th fastest average connection speed at 16.7 Mbps. – Finland – 9th fastest average connection speed at 16.6 Mbps. – Denmark – 10th fastest average connection speed at 16.1 Mbps. As you can see, six out of the top ten countries with the fastest average internet connections were based in Europe. A few honorable mentions include Romania, Hungary, Belgium, and the United Kingdom. Whether you’re a European business targeting an American audience or even an American company catering to an Asian audience, reap the benefits of European VPS provider today. Here’s our comprehensive list of the best European VPS providers on the market. Temok got its start in 2014 and is headquartered in Dubai, UAE with offices scattered throughout Europe and the US. The company claims to maintain its own server network in high-level data centers in the US, Sweden, the Netherlands, and Luxembourg. They have over 8,000 clients and offer a suite of web design and development services, including a Seedbox solution for torrent hosting. Each CPU core maintains a minimum 2.0 GHz while each Linux and Windows VPS comes with a free cPanel or DirectAdmin panel. A IPv6 address is also available, although to buy additional dedicated IPv4’s, you would need to shell out an extra $5 a month in addition to a separate $5 setup fee (not a great deal). We like that Temok has a diverse set of packages for each VPS type, although they only have one server location in the Netherlands. EuroVPS owns its own hardware, host’s exclusively out of an Amsterdam, Netherlands data center, and have been in business since 2004. Their corporate office is based in Cyprus where the company claims to have serviced over 30,000 customers. Linux VPS hosting starts at just $35 a month while Windows VPS solutions begin at $55. Each EuroVPS package runs on the latest release of Vmware vSphere. Additional IP’s cost $5 per month while each VPS is support by a 1 Gbps network backbone. They also offer multiple control panel options, which include: ISPConfig (free), cPanel ($14), Plesk 12 for up to 10 domains ($10), and Plesk 12 for unlimited domains ($30). Despite the simple name, EuroVPS is a secure, high-quality European VPS provider. Time4VPS.eu is a subsidiary of UAB Interneto Vizija, which got its start in 2003 – although Time4VPS was not formed until 2013 – and since then has grown to become one of the largest web hosting providers in Lithuania. Their European VPS packages run on Intel Xeon E5-2630 v3 processors, and are equipped with DDR4 RAM, 400 Mbps dedicated ports, and RAID-6 protected SSD disks. Tilaa was founded in 2008 and specializes in offering fast, simple, and transparent VPS solutions to its client base stretching across over 130 countries. The company is Type 1 certified and based near Amsterdam, Netherlands where they have access to two data centers within a fully redundant network. Tilaa’s VPS plans are compatible with various operating systems, including multiple Linux and Windows platforms in addition to OpenBSD and FreeBSD. CentOS 7, for example, costs $10 a month while Windows 2016 costs an extra $7.45 per month. Reliable Holland-based VPS provider for those on a budget seeking the most powerful VPS at the lowest possible price. LunarVPS was formed in 2015 and maintains servers in multiple locations, with access to data centers in the Netherlands, Switzerland, Sweden, and Romania – all of which have excellent internet speeds. Their Linux VPS plans are compatible with OpenVZ, KVM, or XEN technology, while their Windows VPS plans can run on KVM or XEN virtualization platforms. LunarVPS is a pretty well-diversified European VPS specialist. Each VPS includes a SolusVM control panel and 1 Gbps uplink ports. Available Windows operating systems include Windows Server 2008 R2 Standard and Windows Server 2012. Each additional IP address costs $3, daily backups cost $1, and complete VPS management (not necessary) costs $5. HostEurope sells hosting solutions and IT services and has been in business since 1997. They have access to data centers in Cologne, Germany and Strasbourg, France. Compatible operating systems include Ubuntu 14.04 and 16.04, centOS 7, Debian 8, and Windows Server 2012 R2.m. By default, each VPS plan runs on the new Plesk Onyx control panel. Their largest VPS comes with a free domain name and SSL certificate. Anti-virus protection costs an additional $5 per month, Cluster IP (allows you to get extra IP’s that you can redirect to different servers) costs $4.99 a month, and malware repair costs $4.99 per month. Overall, HostEurope’s VPS plans include tons of disk space using the latest hosting technology, and the company seems knowledgeable and reliable. Good European VPS option for small to medium size websites. SolVPS appears to have been recently established in Delaware, USA and is a subsidiary of Maya Virtual Inc. Their VPS services are available for New York, Chicago, Los Angeles, and London server locations. Their London data center features pure SSD storage arrays, private redundant 10 Gbps uplinks to Ipv4/v6 networks, and bandwidth connections through high-level providers like Level3, NTT, and Cogent for blazing fast connections. SolVPS’s London-based VPS plans are compatible with both Linux and Windows platforms, each have identical prices. 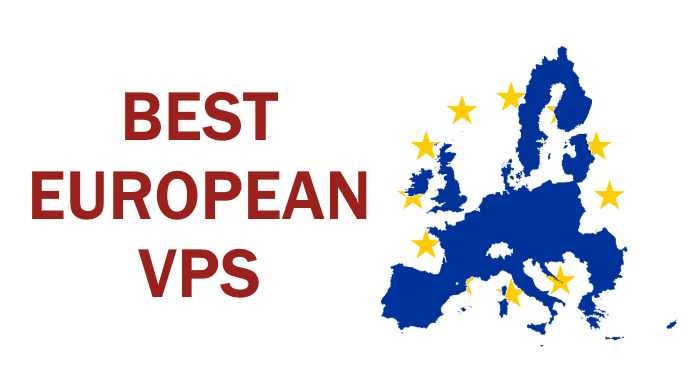 SolVPS’s lowest priced European VPS plan is an excellent value buy. They also allow clients to customize VPS plans to fit their needs, allowing up to a maximum 16 CPU units, 64 GB RAM, and 1 TB of SSD disk space on a single plan. cPanel costs an extra $12 per month, LiteSpeed Web Server costs $15 a month, and Plesk Onyx costs $5 monthly. Trustworthy VPS provider for businesses of all sizes. HostInEuro is also new to the European hosting scene, and is owned by OmniHost Ltd. and headquartered in Labuan, Malaysia. Data center location options include Amsterdam, Netherlands and Frankfurt, Germany. Each VPS plan from HostInEuro includes full root access and the SolusVM control panel. A 100 domain Plesk license comes at a $10 monthly charge. Solid European VPS provider for smaller websites. Although we wish their hardware was more up-to-date and compatible with Windows OS and that they could accommodate larger business sites, SolusVM is a simple VPS alternative. AltusHost was formed in 2008 and has successfully serviced thousands of satisfied clients worldwide. AltusHost has access to servers in two Tier-3 data centers across Europe, such as in Amsterdam, Netherlands and Stockholm, Sweden for the perfect combination of speed and privacy. VPS’s are compatible with Linux and Windows operating systems. Each VPS from AltusHost utilizes Xen virtualization technology and includes free DDoS protection at 10 Gbps. Per month, cPanel costs an extra $10 while DirectAdmin costs $5. Overall, AltusHost uses the latest technology, makes scaling resources easy, and takes privacy seriously. Although we think their prices can be improved, AltusHost is a reliable European VPS alternative for small to medium size businesses. Clustered has been a successful European VPS provider since 1999. Clustered uses the Gyron Internet data center based in Hemel Hempstead, England. Each VPS runs on Dual Intel Xeon E5-2600v4 CPU’s suited with HP DL360 Gen9 servers, HP DDR4 Smart Memory, and Dual Intel SSD DC P3700’s through KVM virtualization. If you need a large amount of resources to power your website, and are looking for the lowest prices possible, don’t hesitate to check out Clustered. A DirectAdmin panel costs $5 a month, cPanel costs an extra $10 per month, and R1Soft backups start at $20 for 100 GB. Founded in 2012, AbeloHost is one of the fastest growing web host’s in the Netherlands. AbeloHost is spearheaded by a close-knit team of IT professionals who make an effort to stay up-to-date with the latest hosting technologies by purchasing new hardware each year. They maintain their own equipment within Serverius B.V., a world-class data center located just outside Amsterdam, where they can personally maintain a high level of server quality and data privacy. Each AbeloHost VPS runs on Intel Xeon E5-2650 v2 processors and uses KVM virtualization. Packages can be further customized to fit your needs, and if updated hardware is not a concern and you’re looking to get the most storage space possible, check out AbeloHost’s Storage VPS plans, which use SAS drives. Additional IP addresses cost $2 per month while cPanel access comes at a $25 monthly charge. In the end, AbeloHost is a leading European VPS provider well-suited for small web projects, medium size websites, and large businesses. Great prices, and even better customer service – highly recommended.